Your home can quickly become infested with mold if a source of water is present. Mold can spread throughout your home in as little as 48 hours. Since mold can produce allergens and irritants, you should call us to inspect your home if you suspect you have a mold problem. Your commercial property can quickly become infested with mold if a source of water is present. 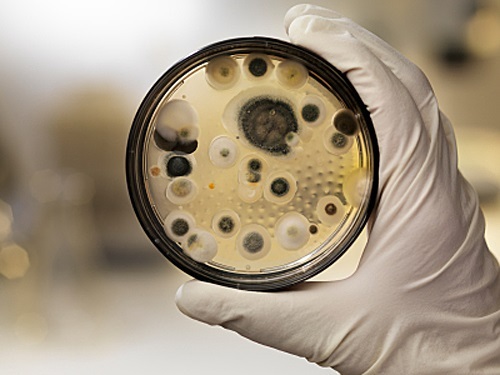 Since mold can be harmful to your employees and customers, you should call us to inspect your commercial property if you suspect you may have a mold problem. Every mold damage scenario is different and requires a unique solution. However, in general, the mold remediation process stays the same. We use advanced mold remediation techniques and equipment to professionally remediate your residential or commercial mold infestation. WHY CHOOSE USA HOME INSPECTIONS? A minor mold issue can quickly spread through a home or business within 24 hours! Once you contact us, we promptly start the remediation process. This fast response lessens the mold damage and reduces the remediation cost. As water and mold damage specialists, our mold technicians have the experience, the expertise, and the advanced training that enables us to get your mold problem under control quickly and professionally. Our initial focus is to stop the source of water feeding the mold. Then, we isolate the affected area using a negative air pressure chamber. We invest in ongoing mold remediation training and the latest equipment to serve you better. 1. 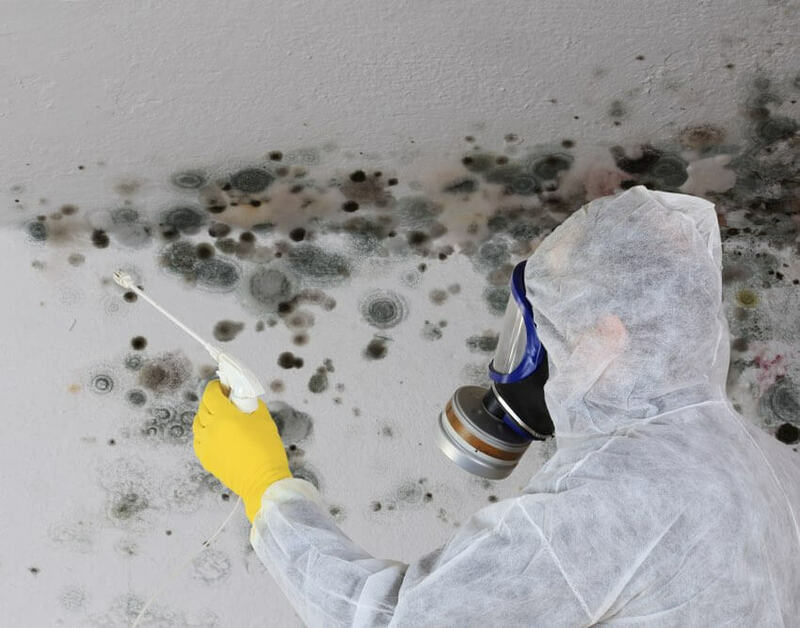 The mold cleanup and remediation process begins when you contact us. Our representative will ask a series of questions to help us determine the necessary equipment, resources, and personnel. 2. We will carefully inspect your property for visible signs of mold. Mold can be hidden from plain view. We use various advanced technologies to detect mold and hidden water sources. 3. Our mold technicians use various containment procedures to prevent the spread of mold. We may use advanced containment procedures like negative air chambers to isolate the contaminated area with physical barriers and negative air pressure to keep the mold spores from spreading during the cleanup process. 4. Our mold filtration equipment allows us to capture microscopic mold spores out of the air. We utilize powerful “air scrubbers” and HEPA vacuums to prevent the spread of these mold spores while the mold remediation is in process. 5. We will use antifungal and antimicrobial treatments to eliminate mold colonies and to help prevent new colonies from forming. It may be necessary to remove and dispose of mold-infested porous materials, like drywall and carpeting, to remediate heavy mold growth. 6. We then clean your furniture, decorative items, curtains, clothing, and other restorable items affected by mold. 7. 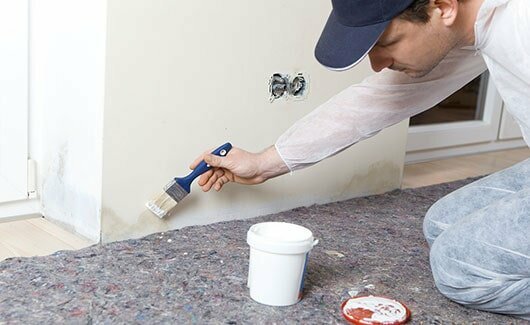 Restoration may involve minor repairs, such as replacing drywall, painting, and installing new carpet; or it may entail major repairs such as the reconstruction of various areas or rooms in a home or business. This last step gets your home or business back to normal.